grandma's cookie jar: just for fun - It is Chocolate Ice Cream Day! Now, talk about a tasty holiday worthy of celebrating . . . what could be better than Chocolate Ice Cream Day! I know my grandsons would approve for sure! I thought once again a few ice cream fun facts might be interesting, so . . . The Introduction of Ice Cream is Unclear - No one really knows who invented ice cream. We have bits and pieces of information. It’s enough to put together a basic story, but we don’t have all of the answers. In Ancient Rome, Emperor Nero enjoyed mixing snow with fruit and honey. He frequently sent messengers out to gather snow from the mountains. Some historians credit Marco Polo with being the first one to bring some type of ice cream to Europe. He had learned it from the Chinese, who had flavored snow with rice and milk to make a creamy dessert. Ice Cream Sundaes Were Actually Made For Sundays - There are two competing stories about the invention of the ice cream sundae. Here is the most popular one. Ice cream sodas were a popular drink you could buy at the local soda shop. However, religious laws forbade shop owners from selling them on Sundays because people were not allowed to indulge in the sugary treats on the Sabbath. The owner of Ed Berners’ Ice Cream Parlor, Edward Berners, decided to get around this law. One day, he served a customer ice cream soda without the actual soda part, so it was just ice cream and syrup. Soon, the concoction was sold on Sundays as an alternative to ice cream sodas. However, it became so popular it was sold every day. Berners changed the spelling to “sundae” to avoid associating it with the holy Sabbath. The Waffle Cone Was Invented by Accident - In 1904, an ice cream vendor ran out of cones. He was at the World’s Fair in St. Louis, Missouri, and he was facing high demand from guests. Desperate for a solution, he turned to a waffle vendor nearby. Together, they came up with the idea to mold the waffles into cones and serve the ice cream in there. Customers loved the idea, and the waffle cone was officially born. The Ingredients of the First Handwritten Ice Cream Recipe Will Disgust You - Sometime around 1668, English noblewoman Lady Anne Fanshawe wrote down the first official ice cream recipe. She originally called it “icy cream,” and it called for some pretty strange things. To prepare the ice cream, the recipe states to boil cream with mace. If that doesn’t throw you off, wait till you see what comes next. For flavor, Fanshawe wrote to use orange flower or ambergris with some sugar. If you don’t know what ambergris is, it is essentially whale vomit. Occasionally, sperm whales suffer from a buildup in their intestines, which ends up coming up in the form of a vomit-like substance. This is known as ambergris, and in the past it was commonly used to make things like candles or perfumes. Which Came First: Chocolate or Vanilla? - If you thought the answer was vanilla, you’re wrong. Chocolate was actually invented first. We generally assume that vanilla ice cream came first because it’s the common base that creates many other flavors. However, it wasn’t always that way. For more ice cream fun facts, check this link. I for one am so glad we have recipes which are significantly different now days for chocolate ice cream than they had in the 1600's! 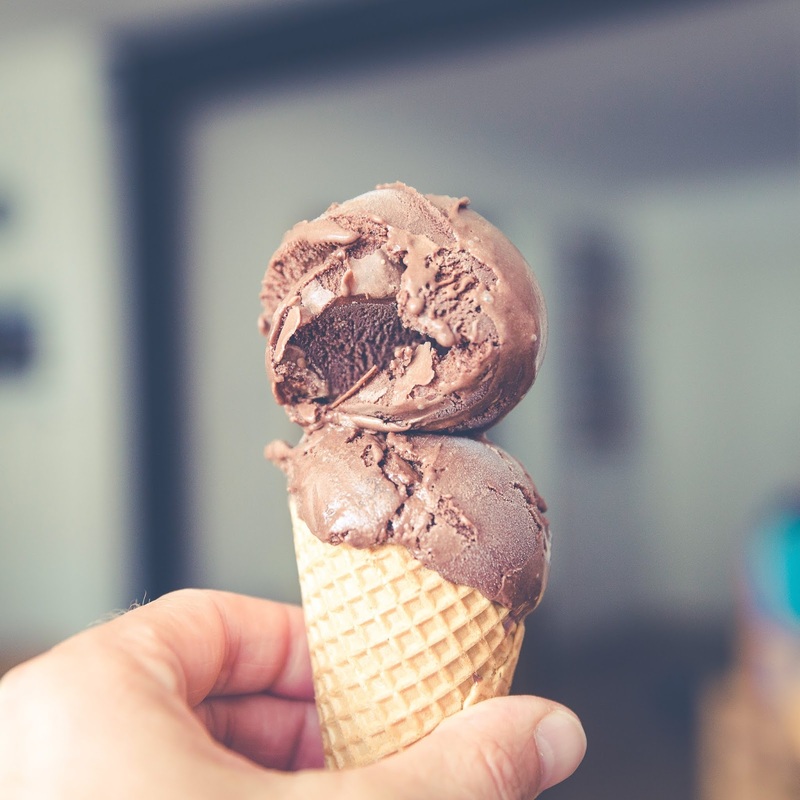 At any rate, consider adding some chocolate ice cream to your summer time fun - maybe as part of your Children's Day celebration!